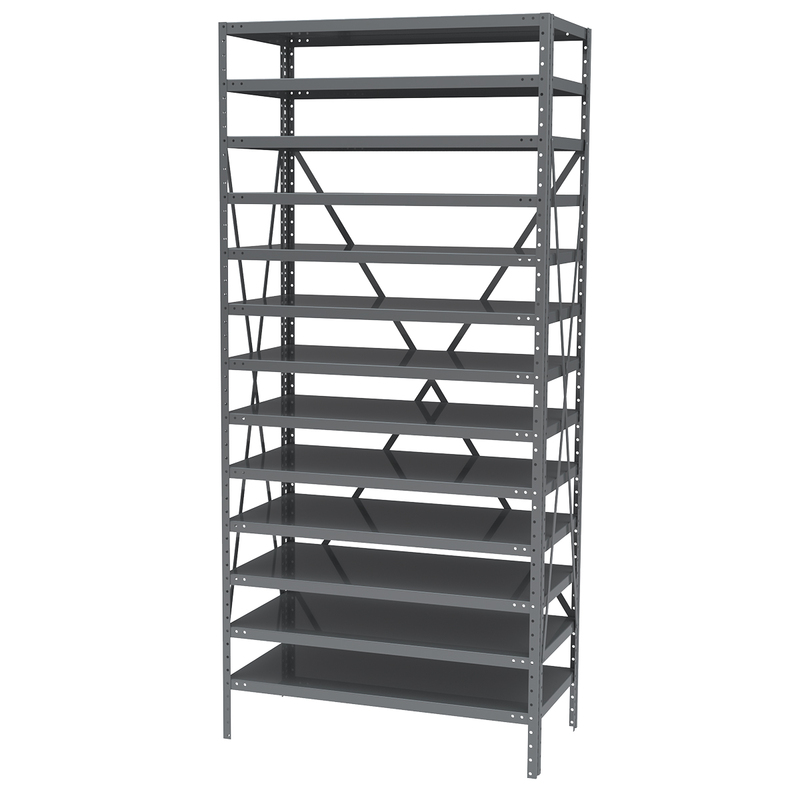 Steel Shelving Kit, 12x36x79, No Bins, Gray (AS1279). This item sold in carton quantities of 1. Steel Shelving Kit, 12x36x79, 144 Bins, Gray/Yellow (AS1279110Y). This item sold in carton quantities of 1. 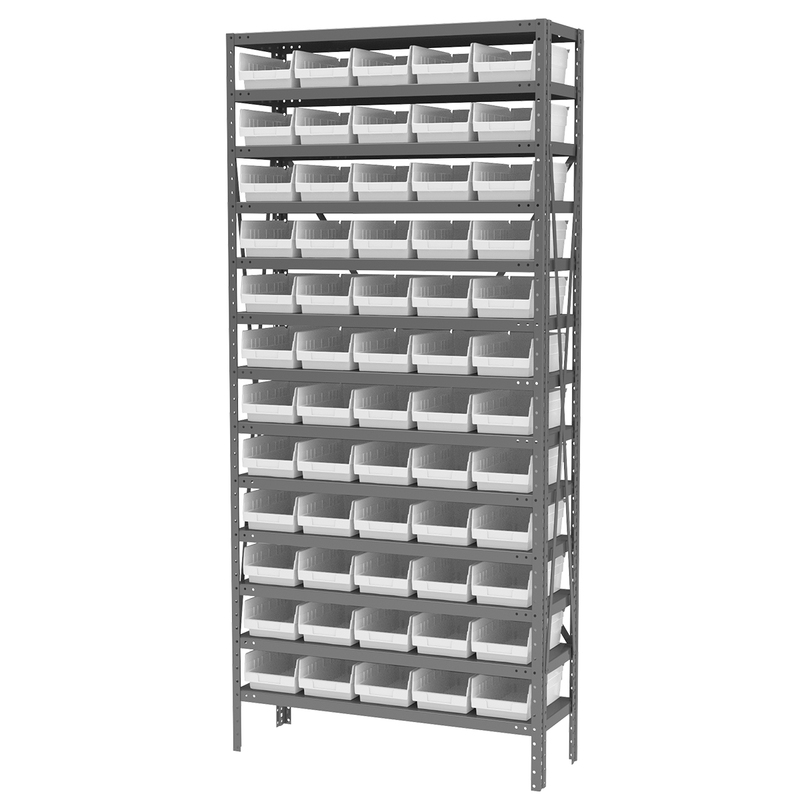 Steel Shelving Kit, 12x36x79, 96 Bins, Gray/White (AS1279120W). This item sold in carton quantities of 1. 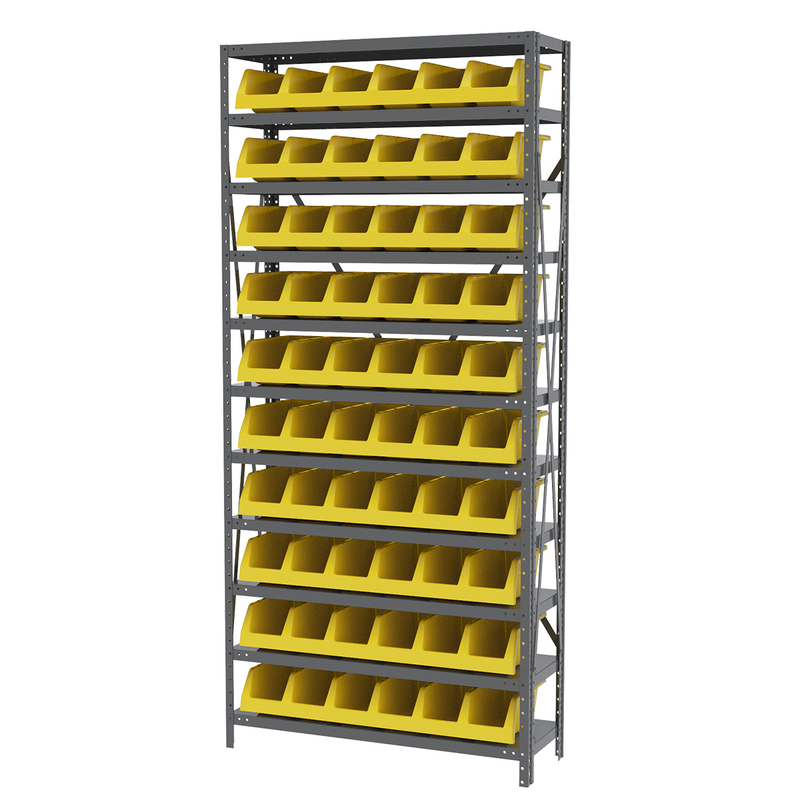 Steel Shelving Kit, 12x36x79, 96 Bins, Gray/Yellow (AS1279120Y). This item sold in carton quantities of 1. 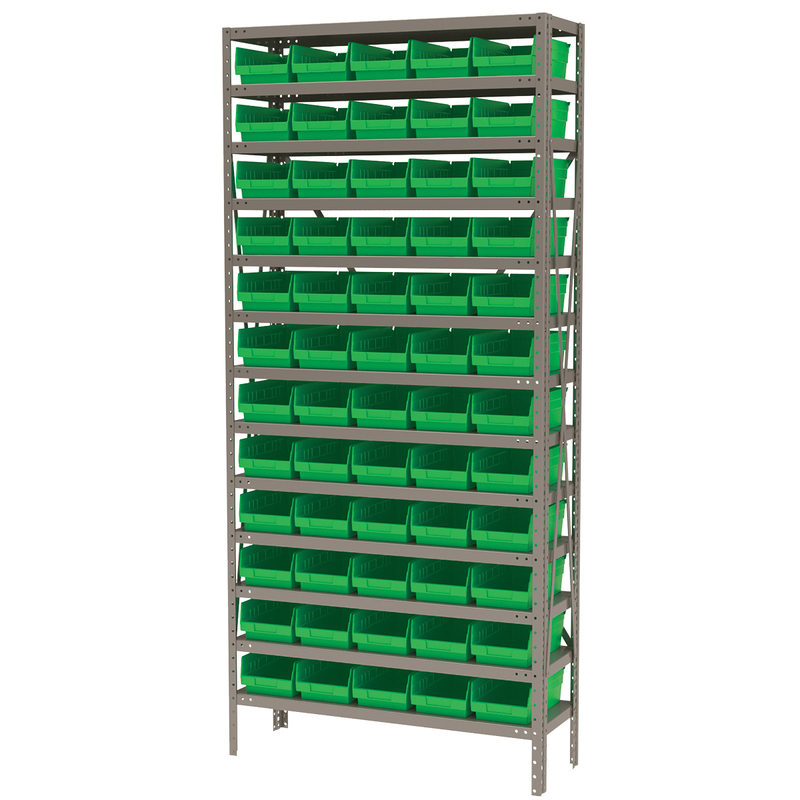 Steel Shelving Kit, 12x36x79, 60 Bins, Gray/Green (AS1279130G). This item sold in carton quantities of 1. 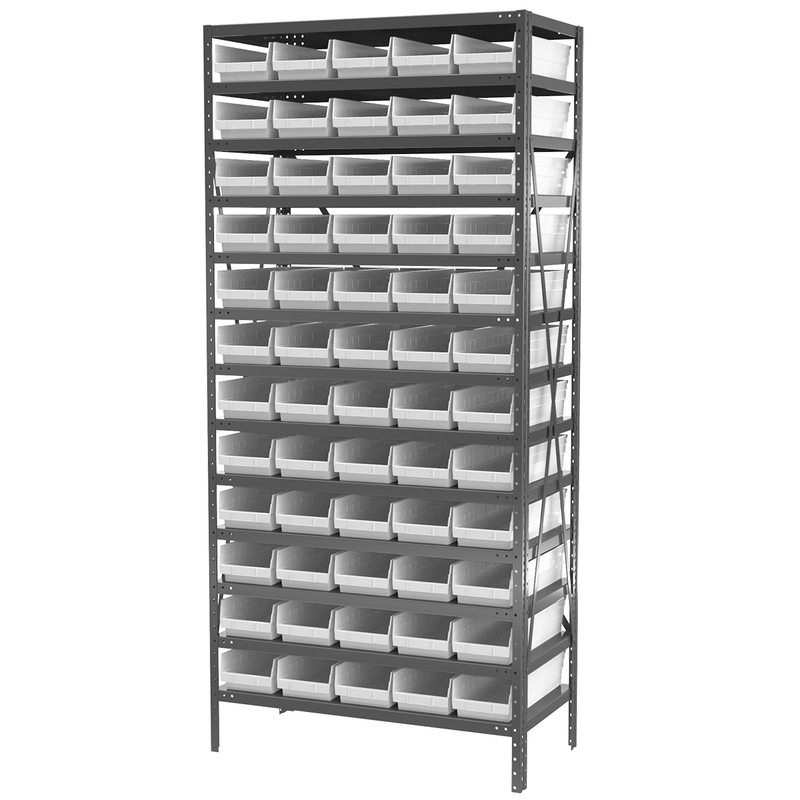 Steel Shelving Kit, 12x36x79, 60 Bins, Gray/White (AS1279130W). This item sold in carton quantities of 1. 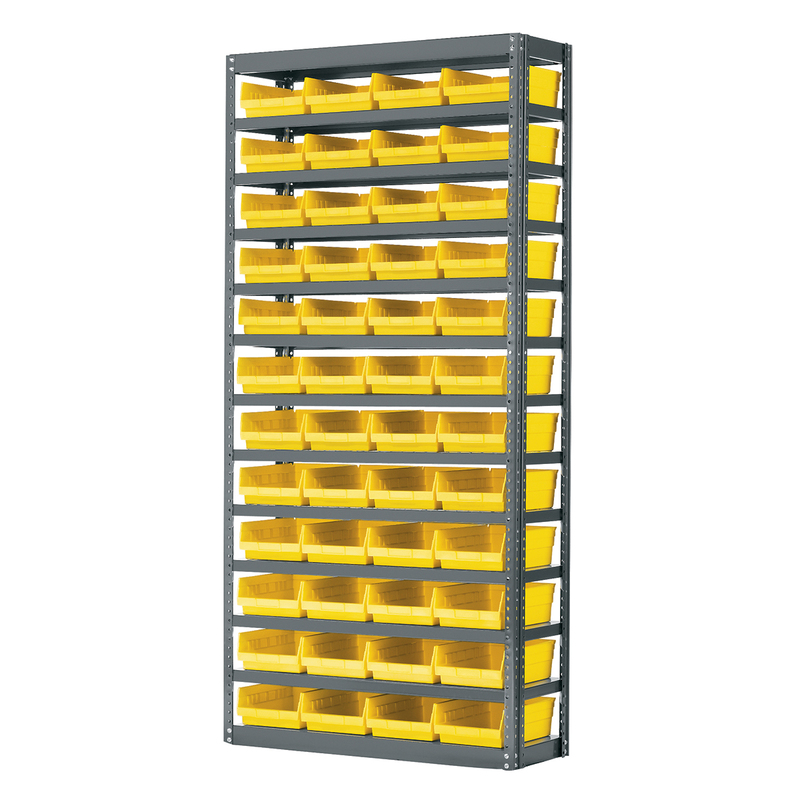 Steel Shelving Kit, 12x36x79, 60 Bins, Gray/Yellow (AS1279130Y). This item sold in carton quantities of 1. 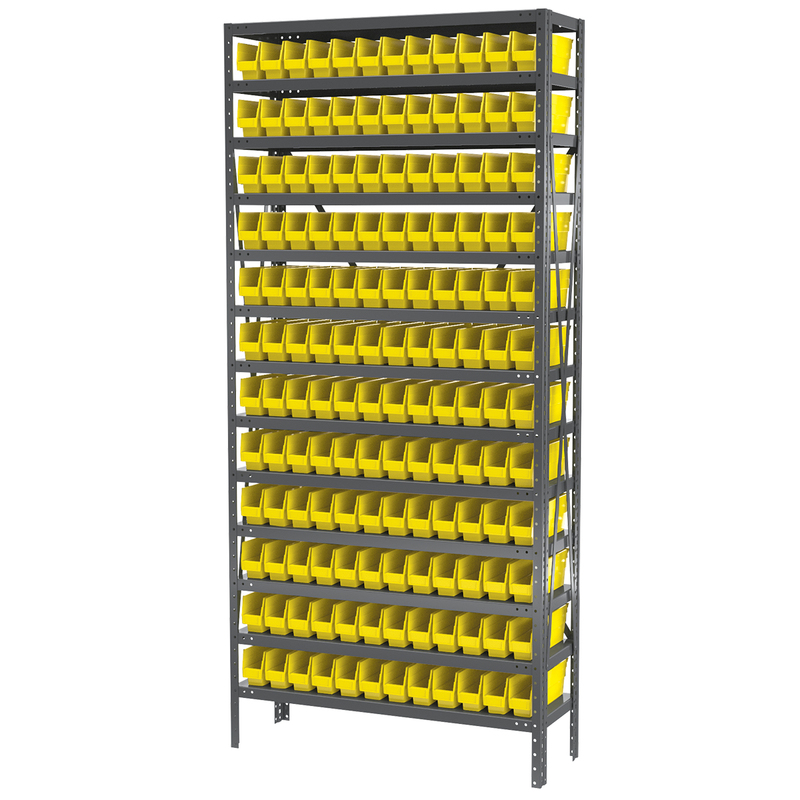 Steel Shelving Kit, 12x36x79, 48 Bins, Gray/Yellow (AS1279150Y). This item sold in carton quantities of 1. 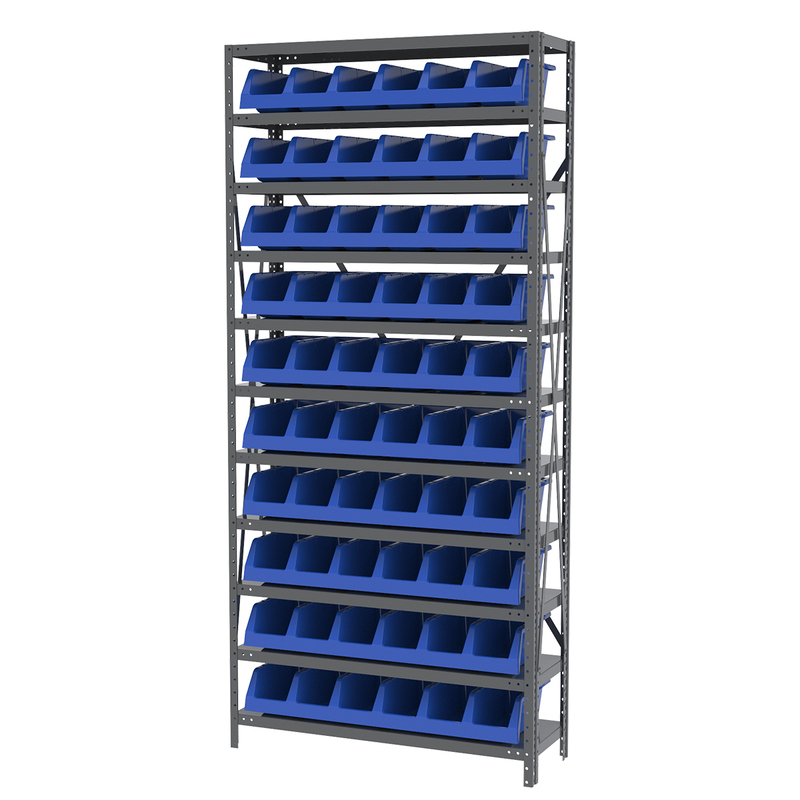 Steel Shelving Kit, 12x36x79, 10 Bins, Gray/Blue (AS1279312B). This item sold in carton quantities of 1. 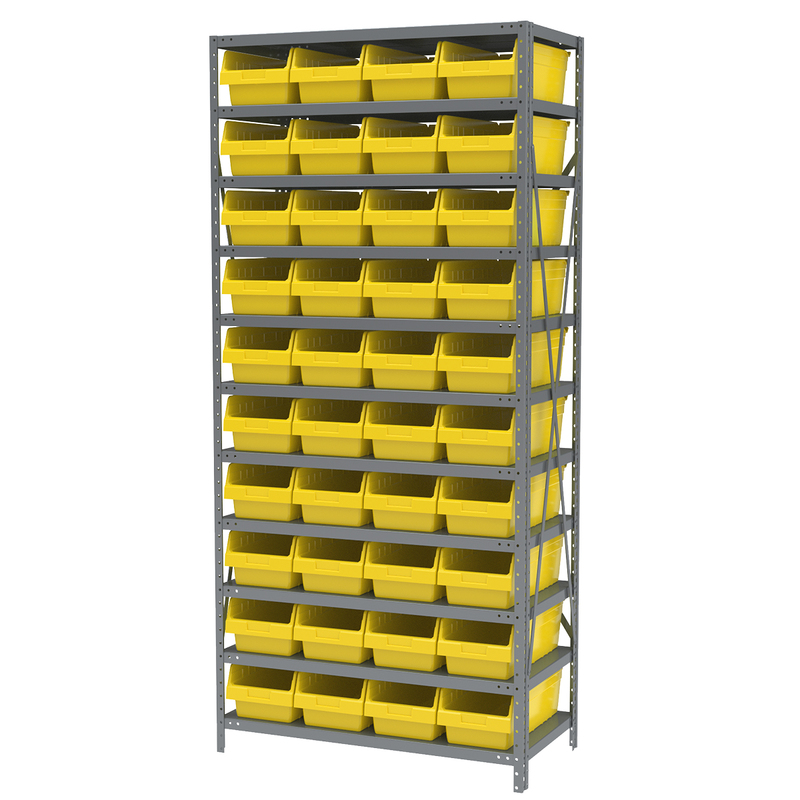 Steel Shelving Kit, 12x36x79, 10 Bins, Gray/Yellow (AS1279312Y). This item sold in carton quantities of 1. 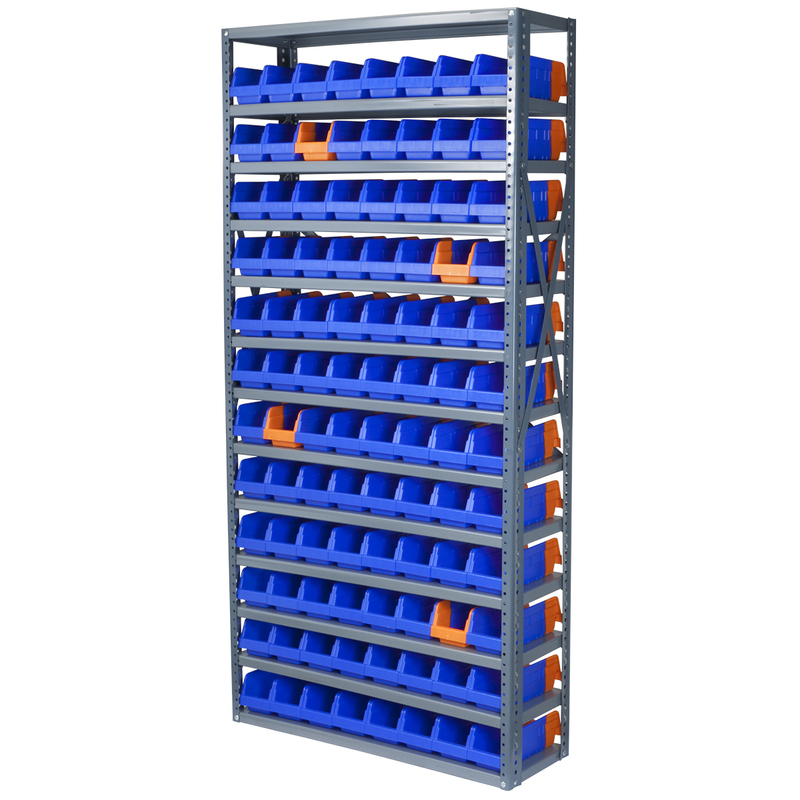 Steel Shelving Kit, 12x36x79, 96 Bins, Gray/Blue/Orange (AS127936442B). This item sold in carton quantities of 1. 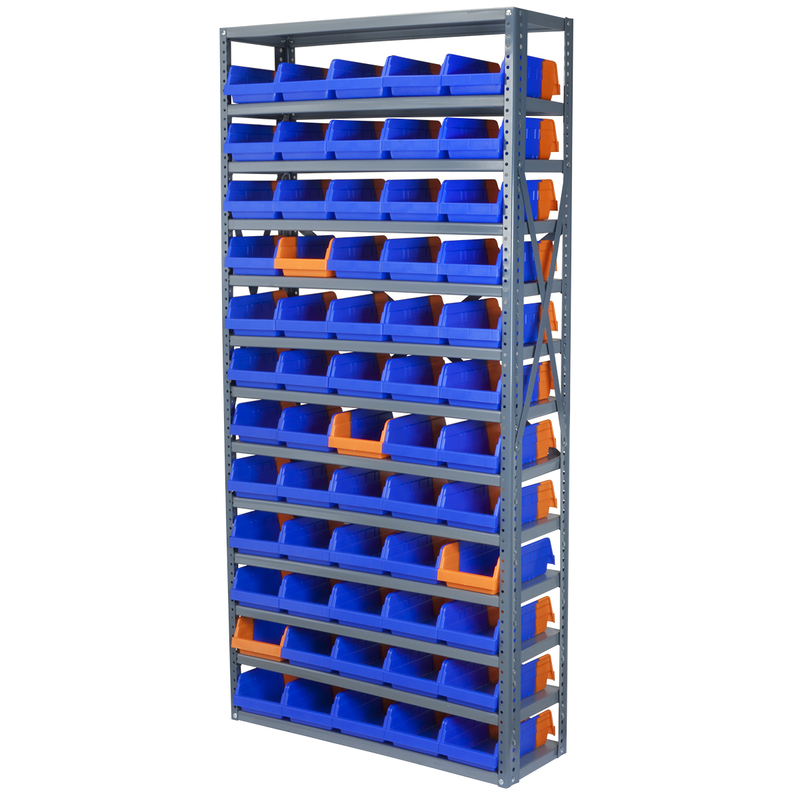 Steel Shelving Kit, 12x36x79, 60 Bins, Gray/Blue/Orange (AS127936462B). This item sold in carton quantities of 1. 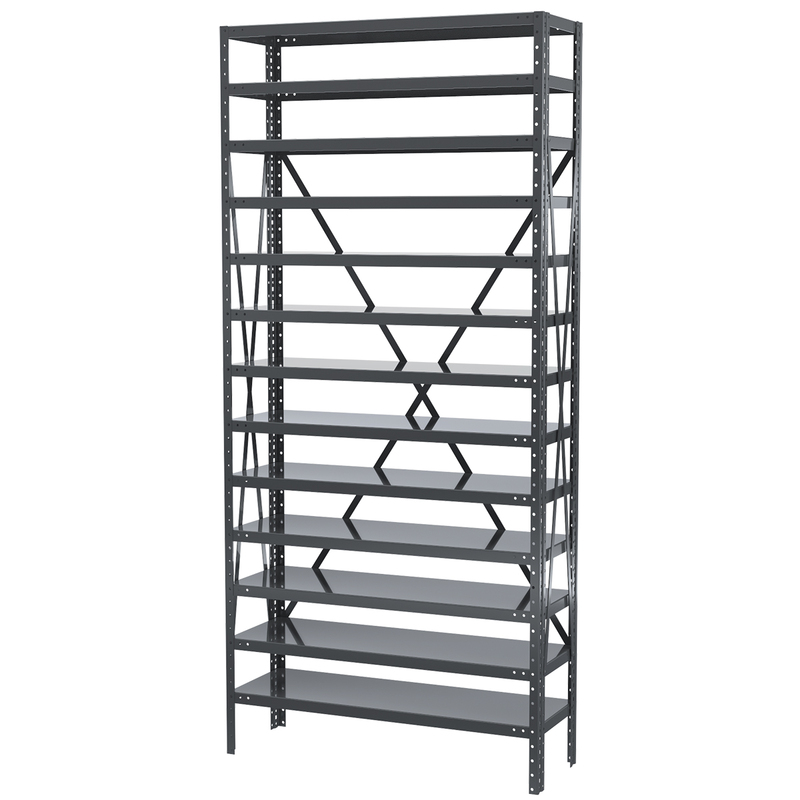 Steel Shelving Kit, 18x36x79, No Bins, Gray (AS1879). This item sold in carton quantities of 1. 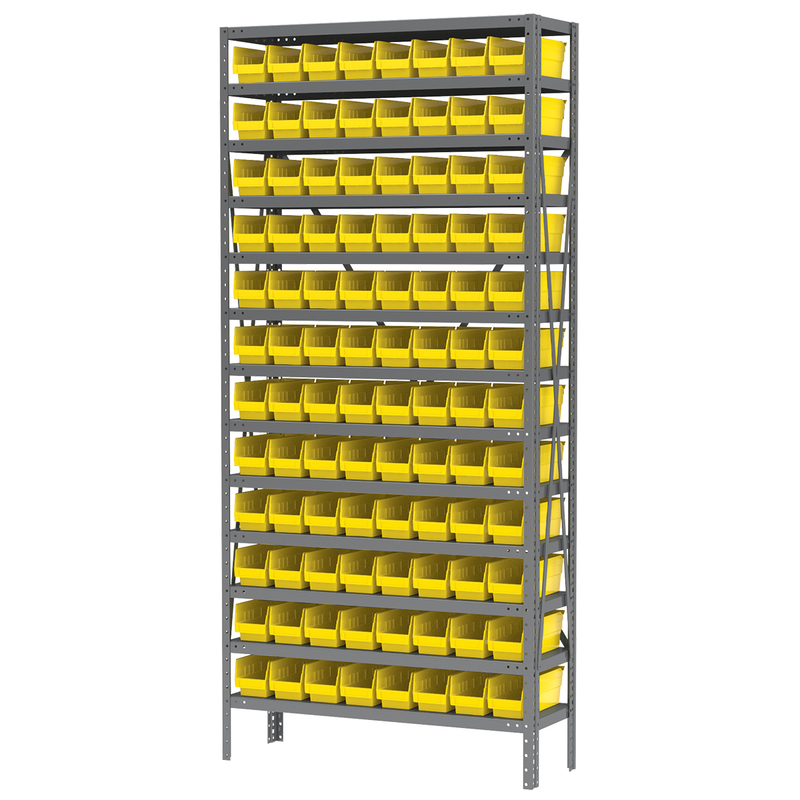 Steel Shelving Kit, 18x36x79, 40 Bins, Gray/Yellow. This item sold in carton quantities of 1. 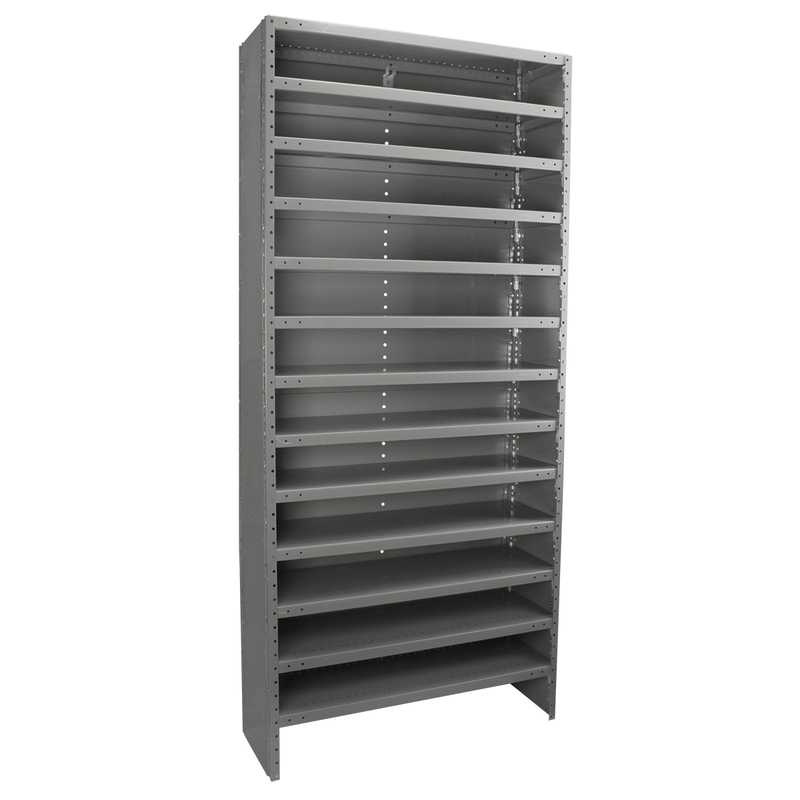 Steel Shelving Kit, 18x36x79, 16 Bins, Gray/Gray. This item sold in carton quantities of 1. 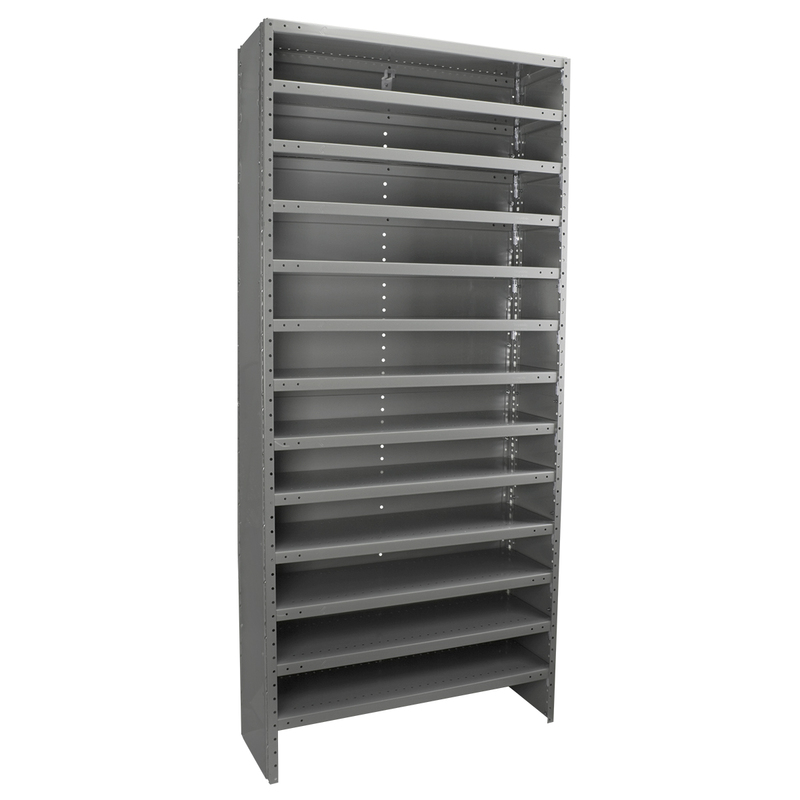 Steel Shelving Kit, 18x42x79, 10 Bins, Gray/Gray. This item sold in carton quantities of 1. 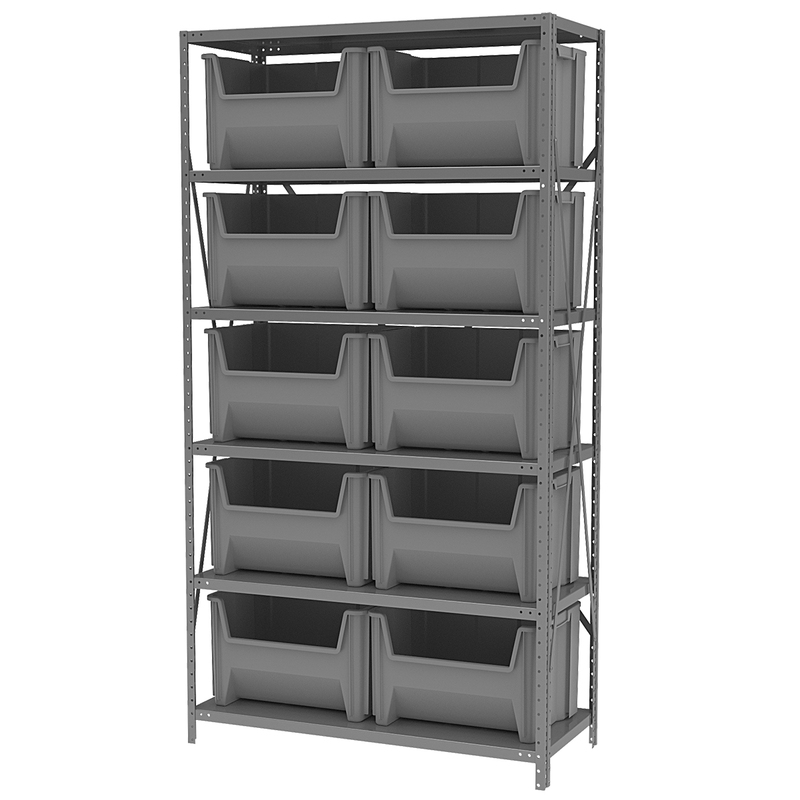 Steel Shelving Kit, 18x36x79, 60 Bins, Gray/Red. This item sold in carton quantities of 1. 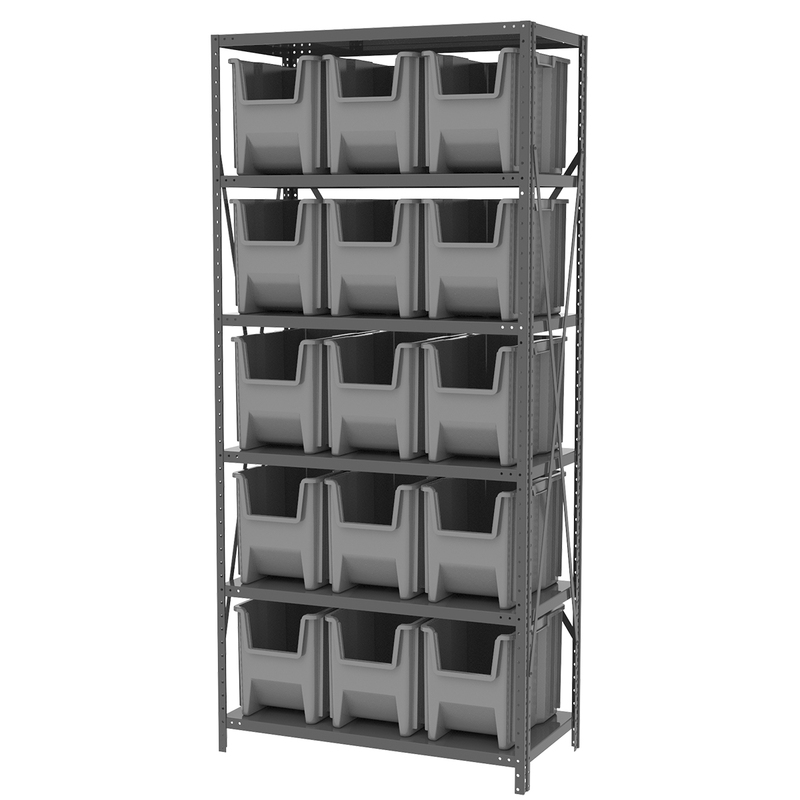 Steel Shelving Kit, 18x36x79, 60 Bins, Gray/White. This item sold in carton quantities of 1. 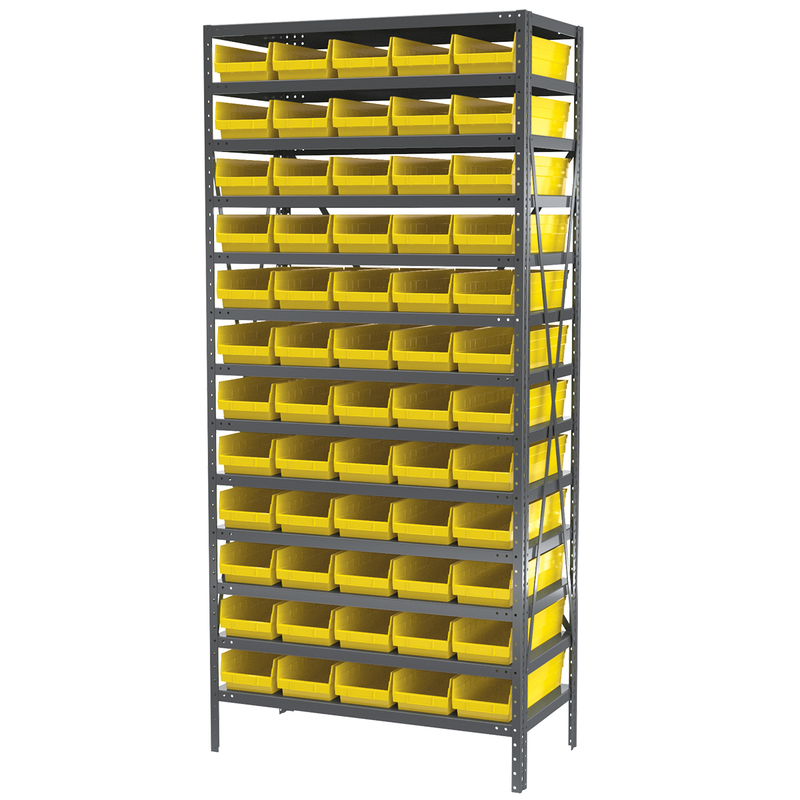 Steel Shelving Kit, 18x36x79, 60 Bins, Gray/Yellow. This item sold in carton quantities of 1. 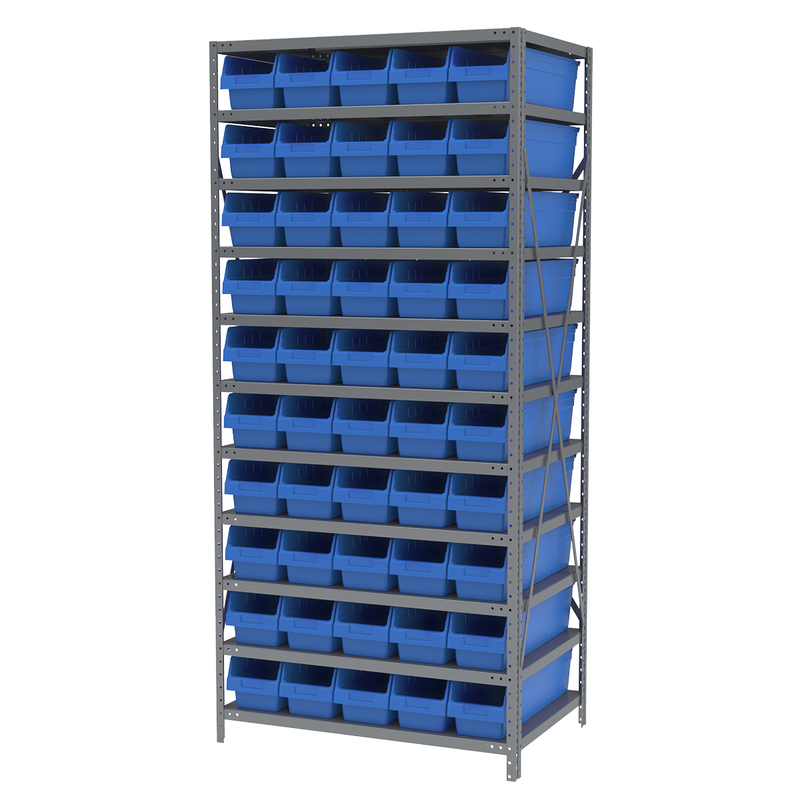 Steel Shelving Kit, 18x36x79, 10 Bins, Gray/Blue. This item sold in carton quantities of 1. 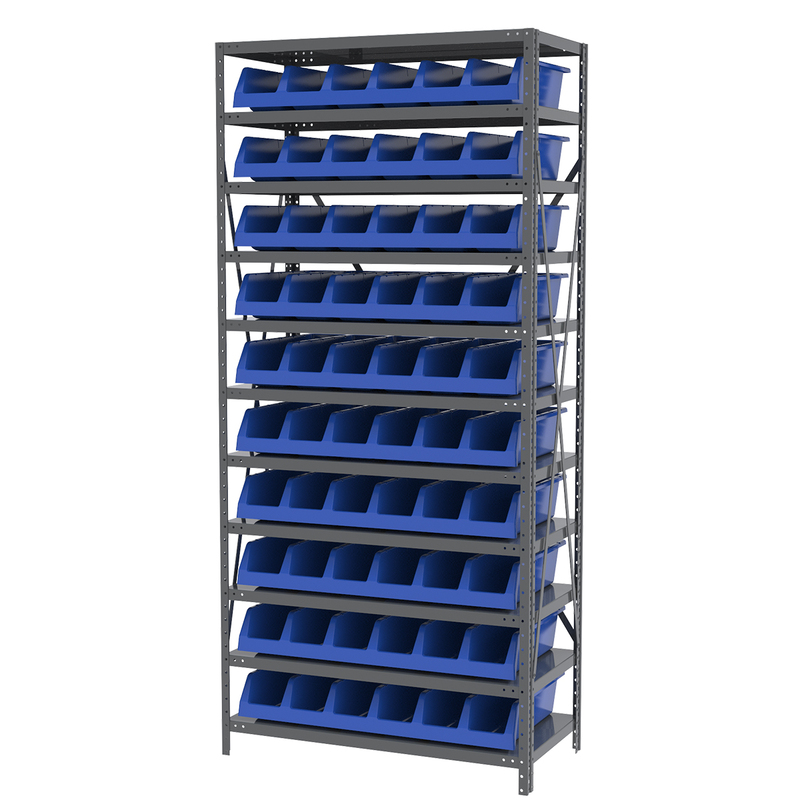 Steel Shelving Kit, 24x36x79, 30 Bins, Gray/Blue. This item sold in carton quantities of 1. 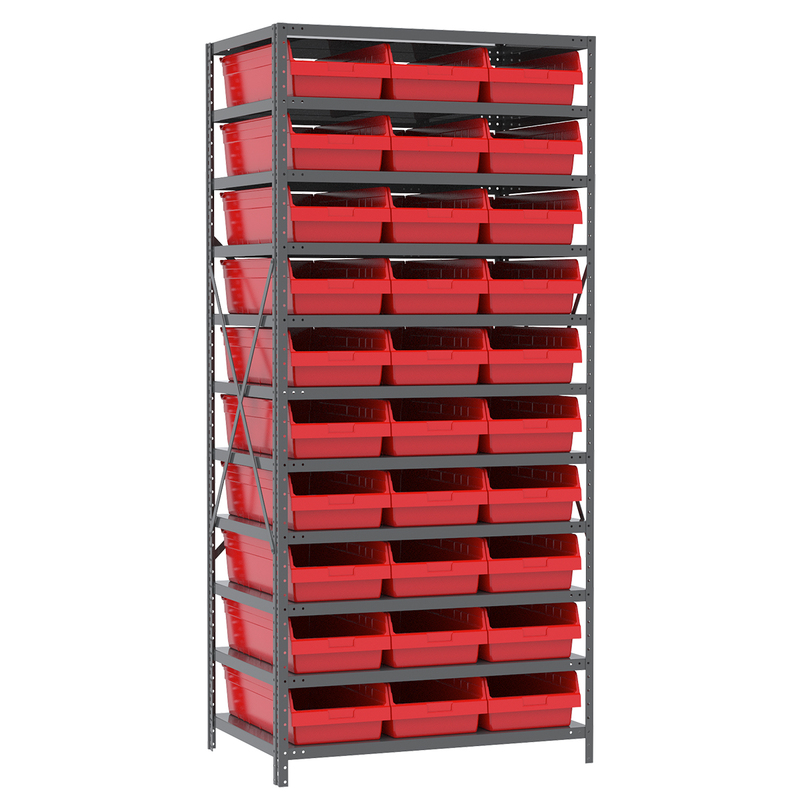 Steel Shelving Kit, 24x36x79, 30 Bins, Gray/Red. This item sold in carton quantities of 1. 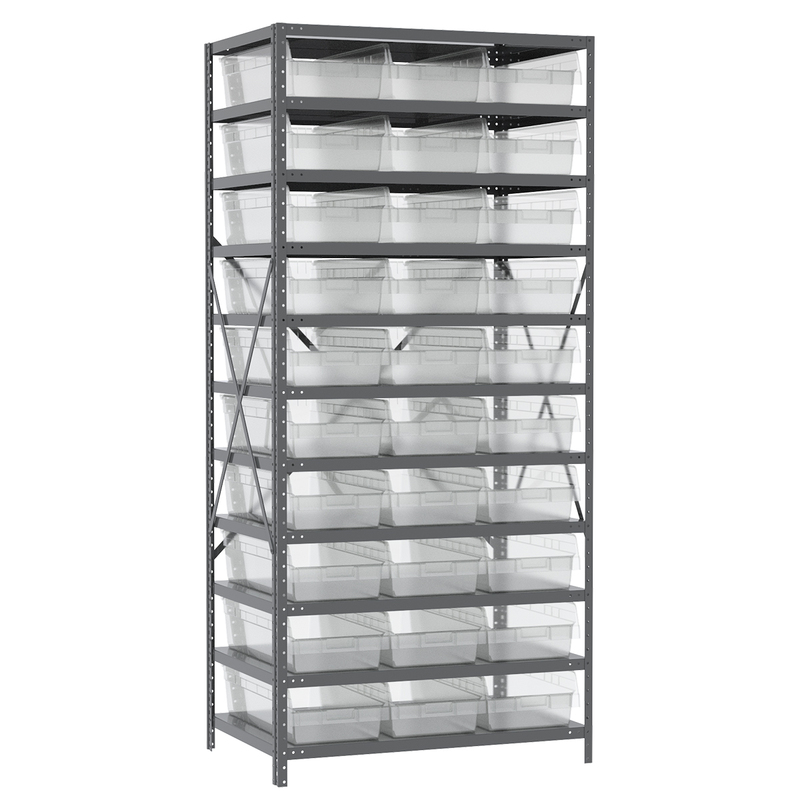 Steel Shelving Kit, 24x36x79, 30 Bins, Gray/Clear. This item sold in carton quantities of 1. Steel Shelving Kit, 24x36x79, 30 Bins, Gray/Yellow. This item sold in carton quantities of 1. 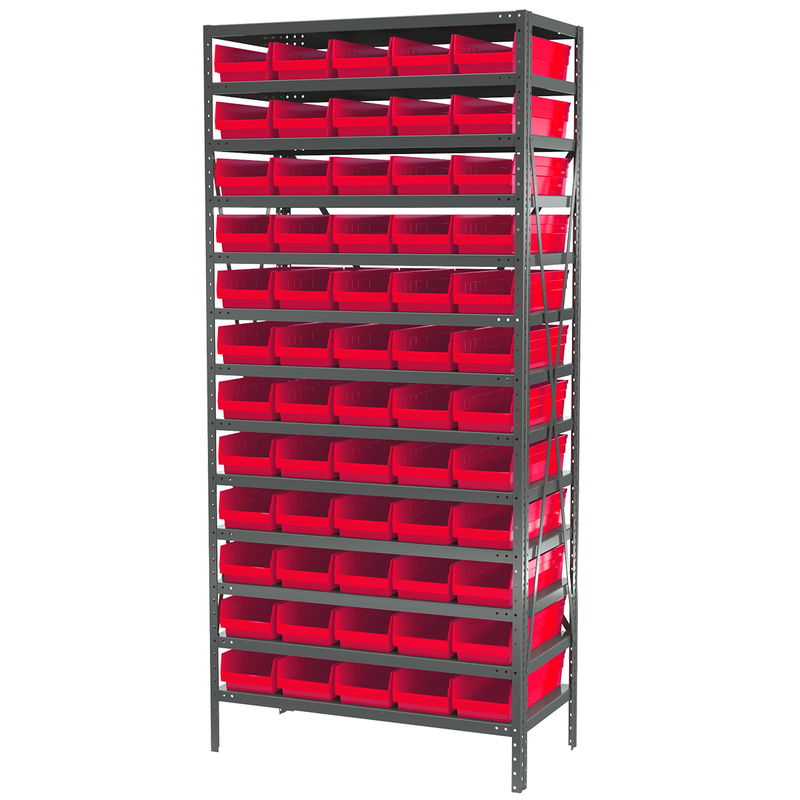 Steel Shelving Kit, 24x36x79, 42 Bins, Gray/Red. This item sold in carton quantities of 1. 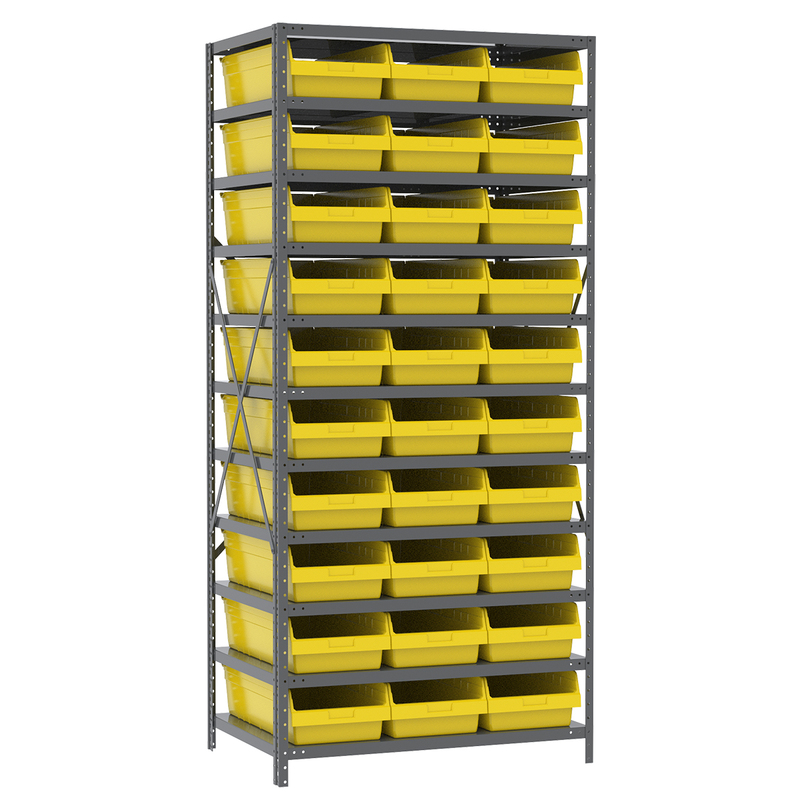 Steel Shelving Kit, 24x36x79, 42 Bins, Gray/Yellow. This item sold in carton quantities of 1. Steel Shelving Kit, 24x36x79, 50 Bins, Gray/Blue. This item sold in carton quantities of 1. Enclosed Steel Shelving Kit, 12x36x79, No Bins, Gray (ASC1279). This item sold in carton quantities of 1. Enclosed Steel Shelving Kit, 18x36x79, No Bins, Gray (ASC1879). This item sold in carton quantities of 1. 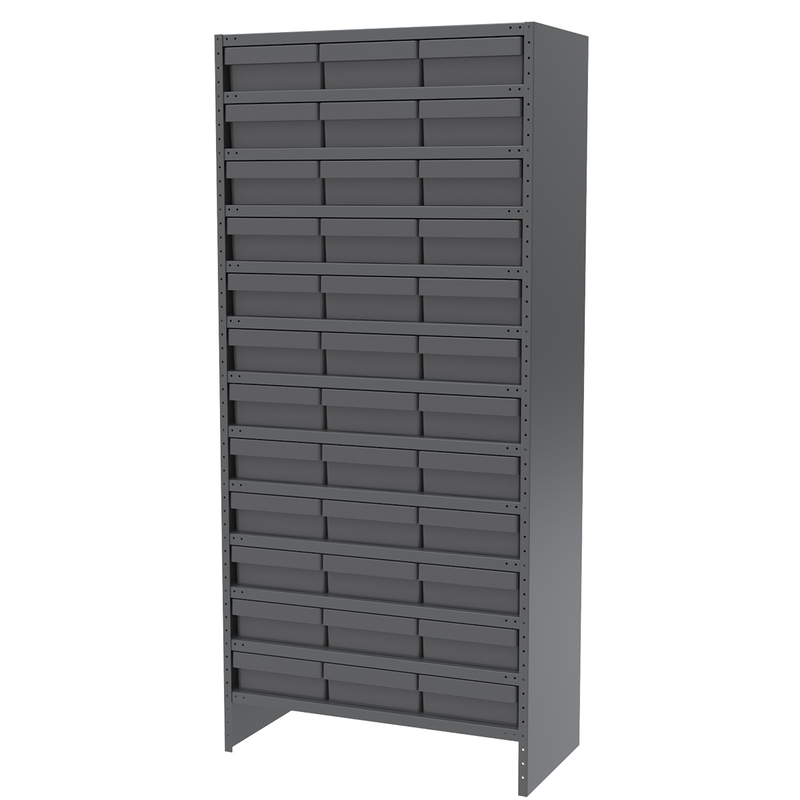 Enclosed Steel Shelving Kit, 18x36x79, 36 AkroDrawers, Gray/Gray. This item sold in carton quantities of 1. Enclosed Steel Shelving Kit, 18x36x79, 36 AkroDrawers, Gray/Red. This item sold in carton quantities of 1. 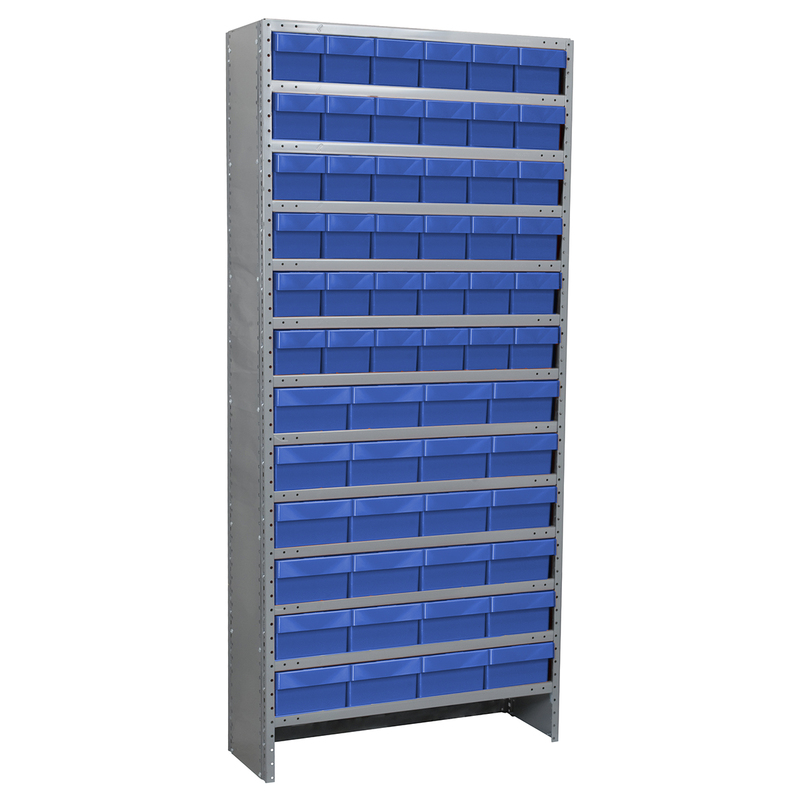 Enclosed Steel Shelving Kit, 18x36x79, 60 AkroDrawers, Gray/Blue. This item sold in carton quantities of 1. 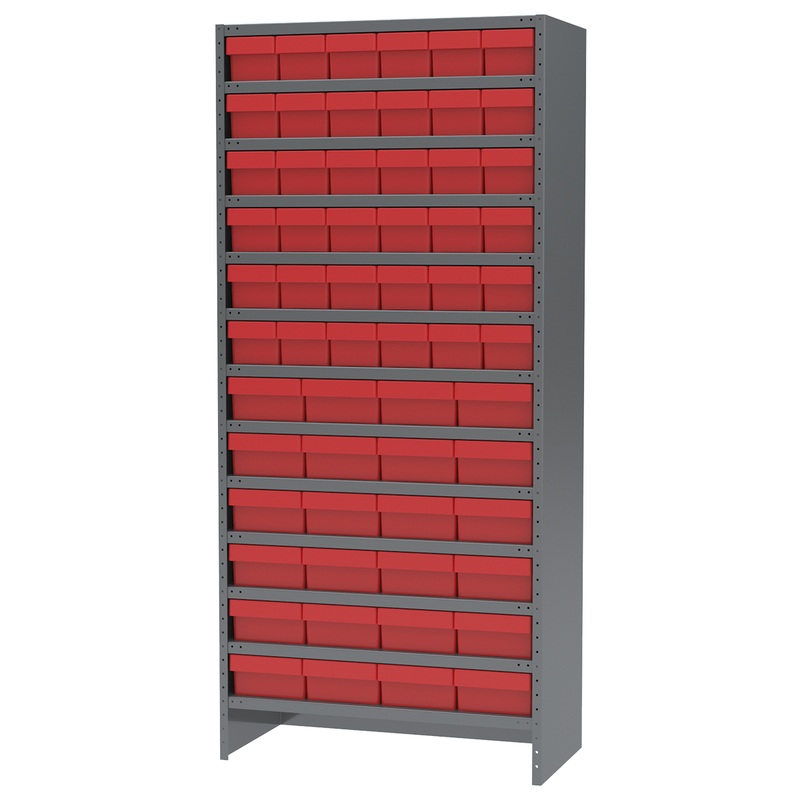 Enclosed Steel Shelving Kit, 18x36x79, 60 AkroDrawers, Gray/Red. This item sold in carton quantities of 1.